West of the "citadel" mound are lush farmlands watered by modern irrigation channels. 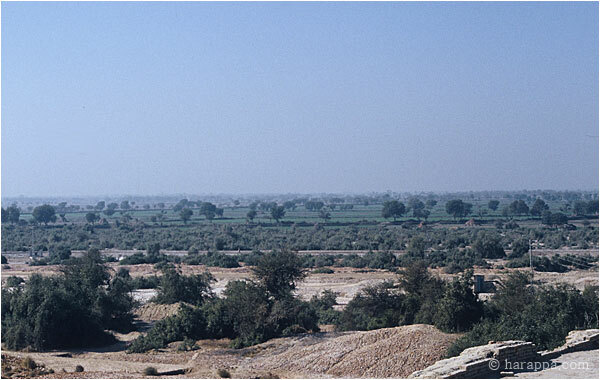 A levee protecting the site from annual floods divides the irrigated land from the salt encrusted sediments surrounding the ancient site. The high salinity of the site is the result of many different factors, but primarily due to increased irrigation and the lack of proper drainage.